Here at Uprooted Platinum, travel has always been second nature. The owner himself has always been a traveler (he has stepped foot on over 30 countries and almost all of the 50 states) and wanted to incorporate this adventurous spirit into the firm. Since opening in 2015 we have expanded into multiple states and will continue to be a leader in sales and marketing in the Baltimore area. We started out as a small sales and marketing firm and today we oversee 4 states worth of commercial customers while also organizing and planning corporate events here at our main office in Baltimore. Additionally, we book travel plans worldwide for every purpose; from business professionals traveling for work to family vacations. Over the years, our network has grown and our need to travel has become consistent. We started to realize a lot of our customers travel often too. So on top of handling their business accounts for our clients, we also started handling all of their travel plans. Our team is full of people who can research, organize, and book these plans. This would include everything from getting from the airport to hotels to day trip excursions. We aim to take care of all of our customers’ needs from new products at the firm, to upgrading to first class seats. Message us if you are looking to get out of town or if your company is planning their next big rest and relaxation trip and all you want to do is show up. This past September we took an office wide vacation to Mexico. Headed down to the beach was the purpose of the trip although we spent about 2 hours in meetings, the rest of the 4 day trip was spent relaxing and site seeing. We stayed at a bougie hotel and resort on the main drag of Hotels. However next time we go back we found Airbnb has a lot of homes up the coast, walking distance from the beach, for half the price. We rented mopeds for the trip to get around town. which was a lot of fun and inexpensive. 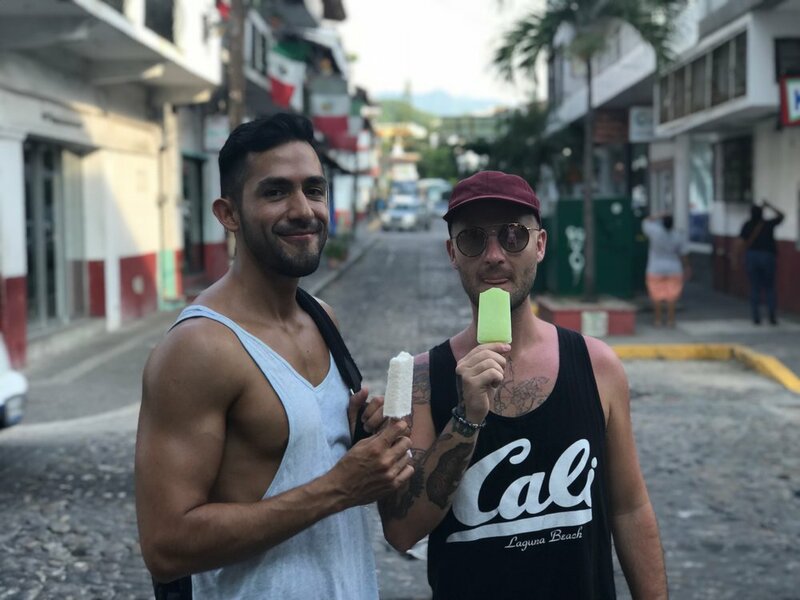 Crossing little stores, local food and cobblestone streets we found this is a little piece of heaven down in Mexico. Being the windy city, home to the Deep Dish Pizza, we visit Chicago yearly attending the North-Eastern Conference, where our CEO Patrick has had the opportunity to speak at! Our corporate trainer Jane and our recruiter Kenna had the chance to explore the city between meetings! This big city has shown us a new adventure every time and for that we have fallen in love! Fun Fact: Spray paint was invented in Chicago in 1949. This Christmas we decided to get away from the cold, an avoid the mess of pine needles and unwrapping presents. We decided to take a little trip to Peru to experience the great outdoors. Not only did we trek Machu Picchu one of the 7 Wonders of the World but we saw some of the most amazing views South America has to offer. For around 7 days we visited Lima, the countries capital, Cusco, on of the highest cities in the world and the sacred ground of Machu Picchu. Fun Fact: Most tourists have to take Altitude sickness pills the moment they land in Cusco. Otherwise most people will become to exhausted to carry on. Most local restaurants offer Coca leaves as a natural remedy to headaches and altitude sickness. In 2014 we got the opportunity to fly out to Sydney! Checking out the land down under, we not only explored Sydney but we explored most of the east coast and northern OZ. This photo is of the iconic Bondi Beach. Although beautiful it is totally over crowded. Outside of Bondi there are beautiful little beaches, coves and cliffs to do some diving from. Talking with locals we found a cliff about 3 miles from Bondi that had no other tourists with just as blue water yet no foot traffic. This photo was taken christmas day. Not a snowflake in sight because Winter in Sydney is like our Summer here in Baltimore. Fun Fact: Sydney is one of the few beaches you can go swimming at. Most beaches in the Northern Territories are covered with crocodiles and as you go down the east coast of Australia you will realize most of these beautiful beaches you are not allowed to swim at. These waters have dangerous animals like jellyfish the size of a human finger nail. Riding in style! Being invited to the annual National Conference, we rented a RV and began our travel to the big Southern city! No surprise our team racked up some serious hardware on this trip, but the memories on the road trip alone were ones for the books! Fun Fact: Dallas/Fort Worth International Airport is the third busiest in the world, and is larger than Manhattan Island. Walking through Lima, we knew there would be countless places we would be able to try some of Perus “fine dining.” Posted at every intersection through the country are stands selling freshly caught and prepared guinea pig. Although we know these little guys as our friendly stay at home pets, Peruvians looks at them as a tasty treat. They are raised in farms across the country and is definitely a must try in Peru. Our CEO Patrick DeMarsico and our top corporate trainer, Brittany Doria won a bonus to attend an event hosted by our clients in Los Angeles, California! This not being the first time our team has ventured out to sunny California, it was a beautiful weekend for us to relax and enjoy our hard work and determination they put into uprooted! Its funny we never had any intentions on going to Sweden. But airline companies from US to Western Europe use places like Iceland and Sweden as layovers. So we not only got a cheaper flight out to Europe but we got a few days to check out Stockholm. Rolling hills of beauty is all we saw outside of the interesting downtown historic city of Stockholm. The downtown is extremely expensive but staying in an airbnb just outside of town gives you the opportunity to spend a few more days in the country. Public trains and buses link everything back to Stockholm so getting around is pretty easy. Fun Fact: Forests cover over 50% of Sweden, there are also around 100,000 lakes and over 24,000 islands throughout the country. Sweden's right to public access laws allows these areas to be fully accessible by the public. In 2016 we were able to spend our Mardi Gras in New Orleans! We created a holiday competition and allowed the winner to join us in New Orleans for the festivities! Soaking up all that this city had to offer we were excited to party like a true local on Fat Tuesday! Fun Fact: Louisiana is the only state that does not have counties. Instead, Louisiana is broken into political subdivisions called parishes. Before opening up our Baltimore location, we decided to take a trip to the beach. Just a few hours from Baltimore is the iconic Ocean City Maryland beaches and boardwalk. We ate our weight in deep fried ice cream and cheesecakes on a stick and would go back summer or winter! We just recently sent a trip to Ocean city and its amazing how cheap it is to stay near the beach out of their busy season. Fun Fact: The beach bar and club called Secrets is our favorite getaway. Located right on the beach this club allows you to swim while drinking. Don’t worry there are plenty of lifeguards on duty. During our trip to Indonesia we opted out of the traditional location most tourists go which is Bali. Although Bali is beautiful, its beauty does not come close to some of the southern most points of Indonesia. These little towns are a surfers paradise. Cheap rental homes and delicious food is the main reason why most come to Padang Beach. Off the beaten path, this beach takes about 45 minutes to get there from the Bali airport. Fun Fact: You can rent a moped for about 6$ a day and tour just about anywhere you want. Stop off for a random beach barbecue or a local market. Philly is where it all began with our company. CEO Patrick is originally from southern New Jersey so trips to Philly were a must. The city is alive and thriving, filled with some of the best museums in the country and has the most diverse group of people. Anytime we are looking for a good night out with some people from the office we take a trip to South Street! Fun Fact: If you have children, the Please Touch Museum, allows children to touch just about everything. It allows them to hang out with the adults yet experience a museum the way they want. Work hard, play hard! Leadership Conference took us to Denver, Colorado, but after all the goals were accomplished, we hung our suits up to gear up and go hiking up in the mountains. Fun Fact: The first permanent structure in Denver was not a hospital, bank or house—it was a saloon. Welcome to the gateway to the Great Barrier Reef! These pristine beaches may look beautiful but they come with a few rules. For starters no one is allowed to go into the ocean without a full head to toe wetsuit. The reason for this is because of the dangerous jellyfish lurking in the clear water. Wearing the wet suit allows for a casual swim but it avoids the deathly stings of these jellys. One of the main tourist attractions to North East Australia this is one of the most beautiful look out points we have ever seen. Fun Fact: Taking home sand from this beach is a crime punishable by fine or jail time! This past march we sent one our top reps out to Iceland! Basically a land of volcanos and hot springs this country is one of the most desolate places we have been with some of the most beautiful landscapes. We rented a 4x4 and toured the country for about 5 days. This photo was taken of our backyard. While being there it never got dark and rained every single day. Although its not the beach it was amazing to watch the skies at 3 am turn pink and purple. Fun Fact: Iceland was named by the Vikings to detour any potential visitors. They named Greenland to make it more attractive when Greenland is covered with mostly all Ice. We had to head down to Dominican Republic for a work meeting! We found it was cheaper to head down to Miami first before flying to Punta Cana. While down there we stayed just two blocks from South Beach, got our tan on and ate breakfast at the most amazing Cuban restaurant with the best cuban coffee. This photo was taken on a back alley of every kind of restaurant you can think of. With local deals at all times of the day, these employees with hunt you down on the street to get you to eat at their place. Fun Fact: Sun tan lotion was invented here in Miami! Over the last 4 years we have gone on different rest and relaxation trips. These include Puerto Vallarta, Cancun, Las Vegas and then Punta Cana. Not may places to stay or visit other than the resorts, however this was one of the best beaches we have ever been to. The white sand beaches and great food made the Hard Rock Resort an amazing destination in Dominican Rep.
Fun Fact: In 1492 Christopher Columbus landed here in the Americas, on his first exploration through the Atlantic. After a big promotion the crew went down to the Caribbean to celebrate. We took a 4 day trip on a Norwegian Cruise liner. All you can eat, all you can drink, really filled our stomachs however we got to enjoy the Bahamas in style. Looking for a trip on an cruise really depends on the locations, length, and port of departure. This particular cruise we found was only $350 per person! Fun Fact: Dean’s Blue Hole, West of Clarence Town, on Long Island. Plunging 202 meters into the sea, it’s the deepest blue hole in the world. While in Peru we were able to meet some of the cutest animals we feel have graced this earth. These Llamas are so cool. We decided we wanted to get a few for our office but then we realized we had no business hoarding an exotic animal just because they feel soft! Fun Fact: For 1 Soles or .33 USD you can find these animals walking around the city and the owner allows you to take as many pictures as you want. Just a two hour boat ride from the mainland, this little piece of heaven is located just south of Phenom Phen. White sand beaches, amazing hiking, and fresh caught fish daily is a huge reason to head over to Monkey Island. Along with that at night time the ocean is lite up by florescent plankton. The ocean turns lime green when the plankton are disturbed, making the ocean a magical view. This is one of the most historical locations we have visited. About 2 hours outside of London this cute little town is surrounded by gazing cow and farmlands. Downtown Cambridge is filled with thatched roof cottages and unique hole in the wall bars. Churches scatter the hillside just about everywhere you turn and the entire city revolves around the University. Fun Fact: The University of Cambridge is the world’s third oldest surviving university and was founded in 1209 by scholars of the University of Oxford. After spending a trip in France we had a quick couple days in Lisbon. Portugal was always intriguing to us and after spending a few days we realized how much the country has to offer. Beautiful beaches backed up to the quaint cities with cobblestone streets and different cafes on every corner. We will be headed back for a few weeks to see outside of Lisbon so we can say we fully experienced Portugal! Fun Fact: The oldest Bookstore in the world is in Lisbon Portugal. A little Rest and Relaxation for our team at no other than Las Vegas! When you work as had as we do, why not take some time to enjoy yourself? Nothing better than the sun and a nice view. We spent about 4 days laying around these pools in the middle of the summer heat. Fun Fact: It would take 288 years for one person to spend one night in every hotel room in Las Vegas. It has been a dream of ours to head to Monaco and gamble at the historic Monte Carlo Casino. In getting there we flew into Nice France and travelled only about 30 minutes east to the boarder of Monaco. There we got caught up in the beautiful hillside of luxury. The beaches amazing and the ocean is scattered with some of the most expensive luxury yachts in the entire world! Fun Fact: Most of Nice beaches are not covered in white sand but covered in white rocks. Not the most comfortable but definitely a great site to see. The location of the Taj Mahal, we took a trip out in 2013 to set our own eyes on one of the seven wonders of the world. Flying into New Delhi we landed and took a train about 6 hours south to Agra. It costs about 700 rupees to enter the grounds and once there the Taj Mahal is yours to explore. The entire complex is flush with white marble that sparkles in the sun light. Take off your shoes and lounge on the Taj deck. It is a must see of India. Fun Fact: You can take an elephant from the train station to the front steps of the Taj Mahal. CEO Patrick helps aid children in Nepal and may be the most exciting part of his business. After visiting in 2010 Patrick fell in love with the country. Kathmandu is nestled in the valley between the largest mountain ranges in the world. After living in an orphanage for 3 months we decided to give back to community and help one of the oldest children the opportunity at getting a college degree. A lot of the fundraising we have done in the past is to help financially take care of these amazing children. Took a trip out to LA to meet our clients and decided to head down to Southern California for a little fun in the sun. One of the corporate trainers was obsessed with the Hills so we took her down to run along the beach Lauren Conrad filmed her reality show on. The best brunch spot in Cali is located here in Laguna and it is pretty much always sunny! Fun Fact: CEO Patrick lived 15 minutes from Laguna Beach for 7 years of his childhood. In 2016 we explored Mexico for the first time. Traditionally most people head right to Cancun. We decided to take a shore cruise to Cozumel to see the history of Mexico. In the meantime we rented mo-peds and drove up and down the area. Obviously we got lost and then sunburnt but ultimately it was really fun for us to see the country that way. Fun Fact: Cruises out of Miami to Mexico are close to $300 all inclusive. Looks like anyone can go on vacation these days by saving a few dollars a day for a few months. What’s your excuse? This photo was taken after a 2 month visit to a small island off of the coast. Looked like cotton candy skies. Most tourists and locals get around on these little boats however the cool part about this little fishing island is not many people go to visit. Maybe 60 people on the island and only a few homes. We found a front porch that a local built a wooden wall and allowed us to sleep there for a few nights. Fun Fact: Dog legs are a delicacy in Vietnam. So be prepared to eat and try another household pet! We did not try this however, could not get ourselves to do it. When we left for Thailand we never thought about crossing the boarder into the rest of south east Asia. The cool part about this trip is it was almost too easy. We took a boat across the Mekong River from Thailand into Laos and got out Visa. For the next 6 days we coasted down the Mekong river with a small boat and a Monk as our tour guide. Fun Fact: We stayed in an Eco Lodge about 2 hours outside of the Capital city and lived with no running water and not electric in the jungle for 9 days. Honestly speaking heading to Panama was a mistake. We were headed to Dominican Republic and when booking our flights we booked a long layover in where we thought was Panama City Florida. We had the intentions of heading out into the city and relaxing before our next flight 10 hours later to Punta Cana. When we woke up after the plane landed we realized we were in Panama City Panama! We had slept through the over night flight and found ourselves in another country. Fun Fact: LATAM is one of the best airline companies in South America. It partners with American Airlines and offers more space than any other flight we have been on. We got our french baguettes and we got our red berets. France was a quick trip but after seeing Nice, we had to see Paris. And we can say it honestly is a country for lovers. The accents were beautiful and as much as i’m sure they were talking trash on us it sounded so beautiful. Fun Fact: Flying into Paris is extremely cheap if you first fly into Stockholm or Amsterdam. Either of these two cities offers a quick $40 flight to Paris with in flight Wifi for free! October 2017 was the last time we visited Amsterdam although it is a popular destination for us here at Uprooted, landing there more than 5 other times has made this one of our most popular destination. We found incredibly cheap tickets from NYC to Iceland and then onward to Amsterdam. We all know what Amsterdam is known for however there is so much more to do than just visit a corner coffee shop. Anne franks house and the Van Gough museum is two of the main attractions. We did most of what a normal trip to Amsterdam is like however one of our favorite places to visit was the “Cat Boat.” This boat is a river boat filled with homeless cats. Crawling around with felines was definitely a great mix up from all the museums and coffee shops. Fun Fact: There are over 2,500 houseboats on the canals of Amsterdam. The canals make it close to impossible to ever get lost. A few summers ago we decided to head out to Scotland. One of the most beautiful countries in our eyes in Europe. The rolling hills are endless and every photo seems to look magical. It was a whole lot of nothing but it was powerful being there. Fun Fact: The most desolate bar in Europe is about 2 hours outside of the capital. Its either a 3 hour boat ride or a 22 hour hike to get to a little white building serving alcohol. Yes this photo is real. Most people find themselves in Phuket if they ever wind up going to Thailand. Only issue is the over population of tourists. Places like this we find to be amazing, peaceful, and undisturbed. We saw clear through to our feet for about 50 yards into the water. Fun Fact: On this part of the island, Survivor France was filmed. We like to have fun so the places we visit tend to have a lot of fun in the sun. This was no different in Honduras. Off the central coast of the Americas, Honduras was spectacular. Mixed with beaches and mountains, Rotan provided us with the perfect combination of history and nightlife. Fun Fact: Cruises out of Texas, Louisiana, and Florida range from 200-500$ all inclusive, all you can eat. Only thing that will set you back is alcohol and massages. We do believe in every now and then treating yourself. So we take our foot off the gas and vibe out at as many music festivals as we can possibly get to. Usually we have back stage passes so we do not have to view amongst the crowd. This photo we are back stage with Wiz Khalifa at a yearly festival in Cincinnati Ohio. The music is better backstage. Fun Fact: We have gone to Bonnaroo 4 years in a row. Every year it gets better and better. After running multiple business trips to Cleveland we decided to actually take a look around. Although most people have no desire to ever head out to Cleveland we found it to be one of the coolest places to be in the summer in Ohio. Set up next to the great lakes the view is to die for. Over the years Cleveland has gotten a bad rap but after the Cavs won it really made this place a popular destination of the mid west. Fun Fact: The Cuyahoga River has caught fire 13 times. This river was so polluted it caught on fire!! Agoura Hills is where most of our client meetings are located. About 4 times a year we make our way to the Hollywood Hills to meet and greet our clients and to basically get wined and dined. Last time we went out there the client gave us all new custom fit suits! Fun Fact: The original sign up in the mountain side said HOLLYWOODLAND. Of course we know how to pull off a suit but every now and then we want to through it in the river and live amongst the trees. This past year we took a few days to get lost in the back country of Kentucky. It was so beautiful and so quiet. Nothing like intentionally finding a place with no cell phone service. Fun Fact: The Red River Gorge is one of the most visited national forests in all of Kentucky. Lets be honest there is not much else going on in the state. Mine as well get lost in the woods. Fortunately or not fortunately the Owner of Uprooted is from New Jersey. We frequent the beaches there all the time, as this is where his family lives. This photo is taken in Seaside Heights because we all wanted to go to the Jersey Shore house and laugh at the cast members. Fun Fact: Down the street from this beach is Monmouth University. At this university the movie Annie was filmed. Daddy Warbucks palace was the admissions office.